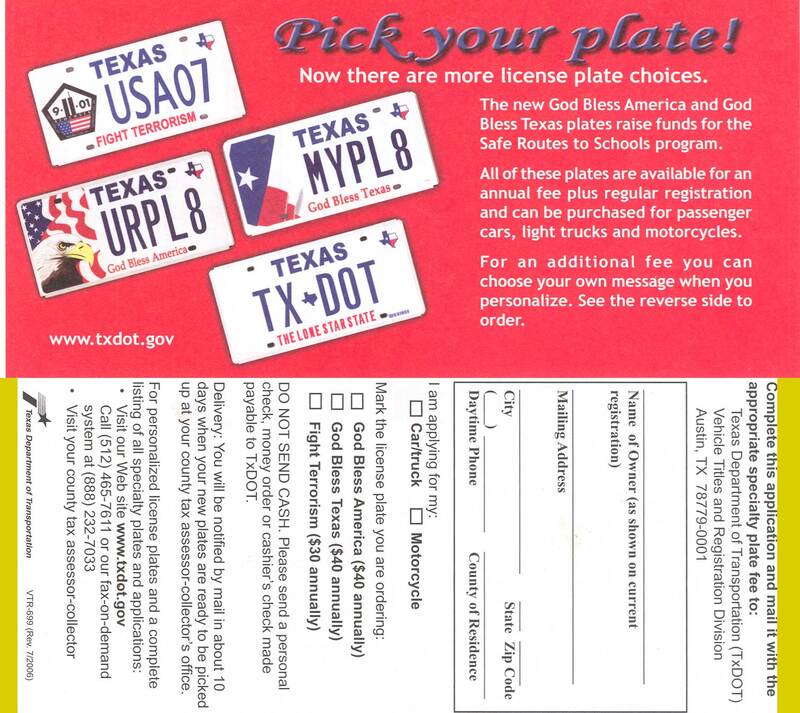 Not news, but I just saw a pickup truck with a Mighty Fine vanity license plate. I wondered who could possibly like the place so much they’d be willing to pay to have it on their vehicle (presuming I wasn’t driving behind the CEO). Then I found out the chain will pay you to have them! In hamburgers, of course. I guess it’s more subtle than a full wrap, but it still caught my eye. Get yours and get paid. 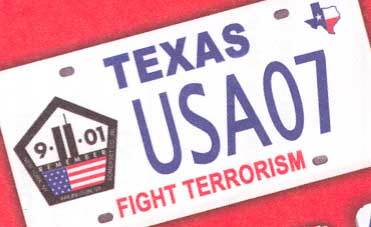 “Texas, Fight Terrorism, 9/11/01, REMEMBER” or some ordering thereof. Because I know you forgot. Fortunately, the god plates still cost more.